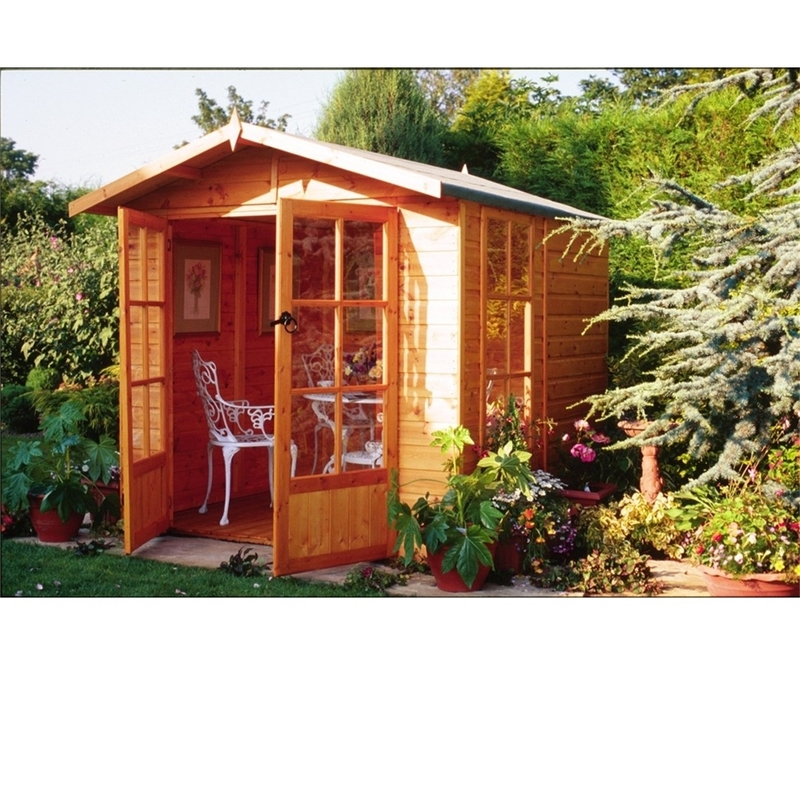 This popular traditional 7ft x 7ft Summerhouse allows you to barbeque during the day, have an extra room at night and even have space for storage in the winter. Large double doors for easy access in to your Summerhouse and a large opening window gives plenty of light and ventilation. High Grade Slow grown timber means a tight grain giving extra strength, a much longer life and superior build quality that looks great in the Garden.